Home > Food & Drink > Philadelphia Cooking “Creme”, Can’t Kraft Do Any Better? 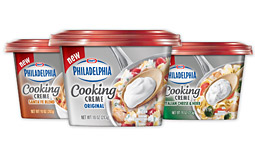 A new “hot” product at the groceries this week is Philadelphia Cooking Creme, a softer, spoonable cream cheese type product which, if you believe the ads, will revolutionize your recipes. As you can guess, it’s a highly processed product that bears little resemblence to actual cream cheese. I had a hard time finding an ingredient list – it’s not on the Kraft or Philadelphia website. 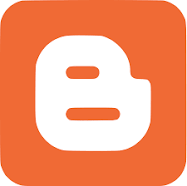 I found a foodie blog that lists the following as the ingredients for the “Santa Fe Blend Cooking Creme”. Pasteurized nonfat milk and milkfat, water, whey, whey protein concentrate, salt, red bell peppers, cheese culture, onions, maltodextrin, garlic, tapioca starch, spice, yeast extract, sugar, lactic acid, corn flour, carob bean gum, guar gum, natural flavor, corn syrup, citric acid, chipotle chili pepper, lime juice, sorbic acid (as a preservative), jalapeno peppers, vitamin A palmiate. Ah, our old friend corn syrup. And yeast extract (think: MSG), sugar, and maltodextrin. Yummo! Do yourself a favor and skip the “creme”. Make your own- just mix sour cream and cream cheese, and gently heat over low heat with chopped green chiles until the cream cheese is smooth for an out of this world sauce for chicken. And that’s real food, too. Come on, Kraft. Surely you can do better than this. I call it a manufactured need – as in you never knew you needed it until someone manufactured it! Companies like Kraft seem to think we need this cr@p and I don’t understand why. If we all perimeter shopped then companies like Kraft would have to rethink their corporate philosophy. I am in Canada and so our products can be different but there is a vitamin water being advertised a lot here and the ad suggests we need this “stuff” 1-2 bottles a day! Who falls for this??? Eat properly and you won’t need to waste your money on this junk dressed up as being healthy. Sometimes I think food companies think we are as smart as a sack of rocks! Wow. That ingredient list would be a killer here (almost literally)!